It's amazing just how many types of golfish have developed from the common goldfish. Today there are amazing combinations of colors, fin types, body styles and eye types to choose from. The following pages offer a look at some of the most popular fancy goldfish available to date. This fish may be called "common," but it's the fish that inspired breeders to experiment and produce the many different types of goldfish you see today. There's nothing fancy about this fish, but its eye-catching color will always make it a standout. The lovely fantail is often referred to simply as a "fancy" goldfish. Its finnage drapes out to form a beautiful frame for its short and stocky body. This is a fantail goldfish whose eyes protrude from either side of the body. 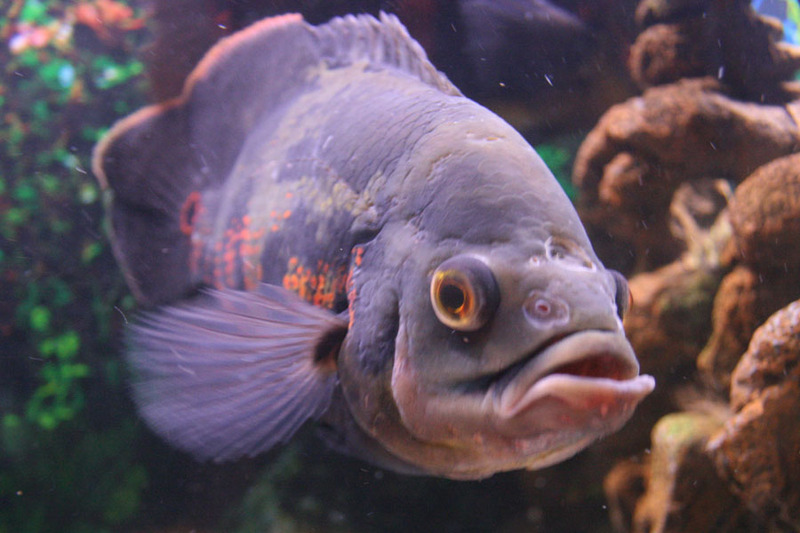 As with any fish with extreme eyes, make sure any ornamentation in the tank has very smooth edges to avoid eye damage. As its name implies, this is a black variety of fantail goldfish. Some specimens have telescope-style eyes as pictured here, while others have normal eyes. There are now other color variations for Black Moors, including Panda Moors that are black and white. One of the more distinct types of goldfish, the Bubble Eye goldfish has fluid-filled bladders or "sacs" around its eyes. These sacs do tend to impair this fish's vision, so its tank should not contain any decorative items like rough-edged rocks, ornaments or spiked plants that could damage the bladders. This fish also lacks a dorsal fin. The Celestial Eye goldfish gets its name from the fact that its eyes are positioned upward so he's always looking toward the heavens. Like the Bubble Eye, this goldfish also lacks a dorsal fin. Orandas have a bulbous growth on their heads called a "wen" by the Japanese. This hood grows larger as the fish ages and looks quite dramatic, especially on the Red Cap Oranda pictured here. This type of goldfish has slightly domed scales that look reminiscent of pearls, hence its name. The Ryukin has a decidedly round body with a humped back and is available in different styles of fancy finnage. The Ranchu is one of the most extreme types of goldfish. It lacks a dorsal fin on its high-arched back. Its body is egg-shaped with a distinct downturn at the tail. Its distinct head growth develops over the course of its first year of life.